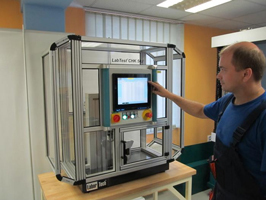 Pendulum Impact Testers of the type LabTest CHK manufacture by LABORTECH are used for quality control of production, input and output checks of material and products in testing rooms and laboratories. They are used to determine the impact work, which is a standard of material resistance against impact loading, impact notch toughness and impact strength according to DIN, EN, ASTM, ISO standards. The magnitude of impact work depends on many factors, such as deformation speed, concentration and tension nature in the test bar (notch shape, size and shape of the specimen), temperature, structure and status of internal tension. Therefore, the test conditions are set during normal, reduced or increased temperatures by the following standards: EN ISO 148-1 and ASTM E23. Pendulum Impact Testers are used for quality control of production, input and output checks of material and products in machinery, in construction and automotive industry as well as in research and development facilities. 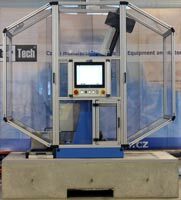 In our product portfolio, you can find both standard machines and special custom-made machines. Pendulum impact testers CHK 50J range produced by LABORTECH belong thanks to their accuracy, reliability, ergonomic design and originality among the top-class products in the field of impact tests. The pendulums are designed in a way so that they, in connection with a workbench, fully comply with operators´ functional and ergonomic demands. As the unique manufacturer, we have incorporated a complex evaluation and control of the tests via PC, which is integrated directly in the machine frame. Thanks to the software ImpactTest, its operators have all the complex information about their testing. Pendulum impact testers CHK 450J-I(A) range produced by LABORTECH belong thanks to their accuracy, reliability, ergonomic design and originality among the top-class products in the field of impact tests. The pendulums are designed in a way so that they, in connection with a workbench, fully comply with operators´ functional and ergonomic demands. As the unique manufacturer, we have incorporated a complex evaluation and control of the tests via PC, which is integrated directly in the machine frame. Thanks to the software ImpactTest, its operators have all the complex information about their testing. Pendulum impact testers CHK 750J-I(A) range produced by LABORTECH belong thanks to their accuracy, reliability, ergonomic design and originality among the top-class products in the field of impact tests. The pendulums are designed in a way so that they, in connection with a workbench, fully comply with operators´ functional and ergonomic demands. 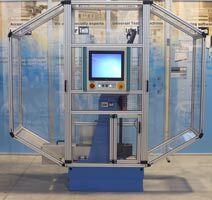 As the unique manufacturer, we have incorporated a complex evaluation and control of the tests via PC, which is integrated directly in the machine frame. Thanks to the software ImpactTest, its operators have all the complex information about their testing.